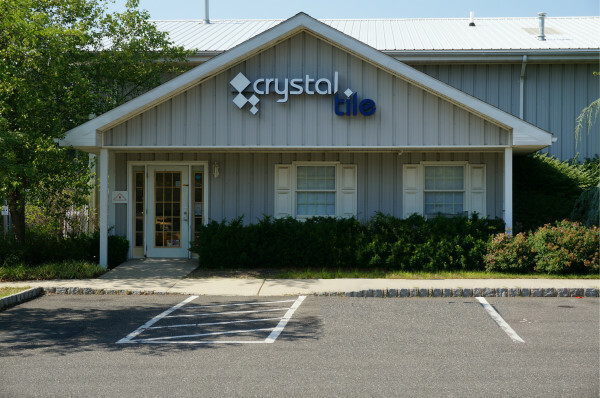 Crystal Tile ceramic & porcelain design showroom is located at 1525 Prospect St, in Lakewood NJ. We are a full service Ceramic Tile Showroom attracting customers from many surrounding towns such as Jackson, Toms River, Howell, Brick, Freehold, Belmar, Sea Bright, Bayville and others. We are also a UEZ registered business. This atomically allows all our customers to take advantage of paying only a 3 1/2% sales tax rate on all in store purchases. We carry the latest designs and trends available in the world of Ceramic & Porcelain wall and floor tile. We carry a huge variety of styles, including porcelain wood look plank, polished porcelain, concrete look, marble look, 3-D wall tile, as well as marble mosaics, glass and metal mosaics. Whether you’re looking to purchase tile for your kitchen floor, backsplash, bathroom wall & floor, foyer, basement, or commercial and hospitality applications, our professional and dedicated staff will guide you through the entire selection & design process, and meet your budget needs. Our showroom is open to the public as well as to contractors, builders and interior decorators. Please visit us in our showroom, conveniently located at 1525 Prospect Street, Lakewood, NJ 08701.